Literacy and Numeracy are a whole school priority including standardised assessments and an increased focus on the use of data to inform teaching and meet the individual needs of all learners. The implementation of Doorways into Practical Literacy (DIPL) and NZ Maths across the school, ensure explicit, targeted teaching to optimise student achievement from Transition through to Year 6. The NZ Maths program is aligned with the Australian Curriculum and allows learners to develop mathematical skills and understandings that they can apply to real life situations. Learners develop sound strategies for investigating and problem solving as well as positive attitudes about their capacity to effectively use mathematics in everyday life. Number Knowledge – knowledge about the number system including numeral identification, number sequences and place value; and basic number facts using the four operations. Number Strategies –knowledge of mental and written strategies used to perform calculations. A clear distinction is made between strategy and knowledge and a progression for student learning is followed that includes a sequence of stages describing the strategies students use to solve problems and the key pieces of knowledge they require. DIPL is an integrated literacy program that focusses on reading, spelling, punctuation, grammar and auditory processing skills, using a phonemic approach. It was written by a speech pathologist and a primary school teacher, making it a comprehensive and user-friendly program. DIPL focuses on phonemic awareness skills. DIPL provides children opportunities to practise their auditory processing skills. The DIPL program caters for children from Transition to Grade 6…and beyond! 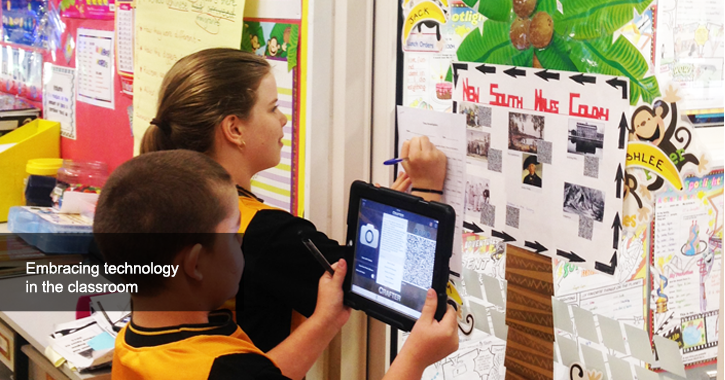 DIPL aligns directly with the Australian Curriculum content. Bees Creek Primary School has been involved with the Australian Government’s development of the National Science Curriculum through its use of the Primary Connections Science Programme developed by the Australian Government and directly linked to the National Curriculum in Science for the last 6 years. Designed to be a Science Curriculum resource The Primary Connections Programme is a rich, diverse and interesting way for children to cover the four Science Learning areas of Biological Science, Chemical Science, Earth and Space Science and Physical Science, whilst also learning to work scientifically and develop sound research and investigatory techniques. The Primary Connections programme can be used by the classroom teacher, however at Bees Creek School Science is taught by a specialist teacher once a week. This comprehensive programme keeps the children from Transition through to Year 6 being involved in and enthused by Science. The Bees Creek Primary School Curriculum Map sees every Primary Connections topic covered over a two yearly time span. This ensures every child covers all aspects of the Science curriculum regardless of their class structuring. Bees Creek School values Music and sees it as an integral part of our students’ education. Classroom teachers incorporate music into their own classroom programme and students also participate in a music programme run by a specialist teacher. Each Music session run by the specialist teacher includes singing, movement, listening, creating and the playing of non-melodic and melodic instruments – chime bars, recorder, boom-whackers and ukulele. We also have two school choirs, one offered to the students in Years 5 & 6 and one offered to the students in Years 3 & 4. Both choirs are given opportunities to sing at school assemblies and other community events. The Northern Territory Music School also supports our Music Programme by offering Instrumental tuition to our students in Years 5 & 6. These students are given the opportunity to learn a variety of instruments including the flute, clarinet, saxophone, trumpet, trombone, percussion and guitar. 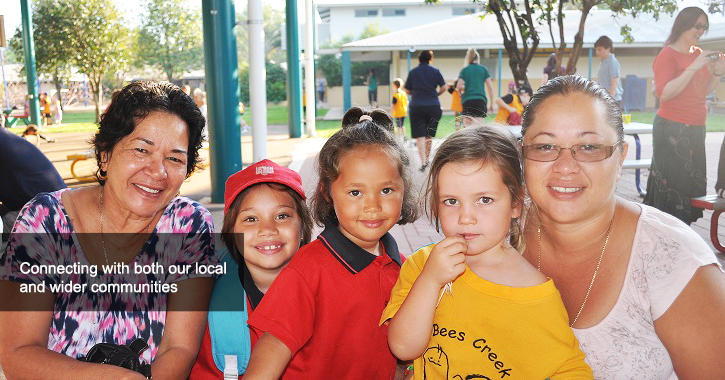 Bees Creek Primary School sees Languages other than English as an essential component of a well-rounded education. It reinforces literacy and numeracy skills, whilst opening up students to new perspectives and ideas about themselves and other cultures. Bees Creek has selected Japanese as it recognizes the unique opportunities it can provide students in a world where Australia’s connections with Japan, and other countries, are strengthened. The program at Bees Creek aims to set a strong foundation in the basics of Japanese communication, through multi-modal Japanese classes. In these classes students will begin to develop and experiment with the language skills required to read, write, listen and speak in real-life situations such as meeting people for the first time, shopping, eating out, reflecting on school life, and discussing personal interests. Bees Creek School has always had a strong focus on ICT (Information and Communications Technologies) and all classes integrate ICT into their programs. Teachers’ and students’ skills and programs are continually being improved with several innovative programs occurring across the school. These programs included creating short films/movies, webpage creations, creating electronic presentations of class work as well as programs designed to reinforce literacy and numeracy skills. Health and Physical Education teaches students how to enhance their own and others’ health, safety, wellbeing and physical activity participation in varied and changing contexts. At Bees Creek Primary School we offer a comprehensive Physical Education program with a strong emphasis on developing fundamental motor skills across all year levels. Through Physical Education classes, taught by a Specialist Teacher, the students are provided opportunities to experience a wide variety of skills that are developed and refined for use in both minor and major sports. The learning strand for Physical Education is Movement and Physical Activity with the key focus areas being; active play and minor games, challenge and adventure activities, fundamental movement skills, games and sports, lifelong physical activities, and rhythmic and expressive movement. Students participate in Physical Education with their classroom teacher through their own fitness sessions, class games and Sensory Motor programs. Other events throughout the year on offer to Years 4-6 include the Palmerston & Rural Regional Sports (PARRS) Cluster Events, for those students interested to attend and play a sport they know or would like to learn more about. Students at this age level are also provided with information to attend Selection Trials outside of school for a specific sport and if successful are selected to represent PARRS at the School Sport NT Championships which are played in venues across the Territory. Health is taught by the classroom teachers here at Bees Creek for 30 mins each week across all year levels. The learning strands for Health are Personal, Social and Community Health. As well as the classroom curriculum covered we also have throughout the year special visitors come to our school and speak to us about specific health organisations and topics within the community. Some of these include St John’s Ambulance, Road Safety with Hector, and Water Safety.